Hmm, came across something very interesting about the Dong-Yi people. Needs to be researched a little more but if this is true then this could be the connection we need to validate that the Hmong & Native Americans are ONE people and were together as one in the past before splitting apart. It is said that the Dong-Yi people are the Hmong people. On this website they have linked the Dong-Yi people to be one of the Native Americans ancestors. Dong-Yi People lived around Shandong Peninsula in Neolithic China; they built one of the most important Neolithic cultures – Dong-Yi culture which had greatly influenced ancient China. Later Di-Qiang culture also had elements of Dong-Yi culture. This article briefly introduced certain historical records of the Dong-Yi People; their wheat cultivating history; their Caucasoid race characteristics; their bird worship totems; their relations with other people; Dong-Yi culture; and their migrations. From this article we have a clear view of Dong-Yi People. They built one of the most advanced cultures in Neolithic Shandong which greatly influenced China Neolithic cultures. They came from Middle East and had Caucasoid racial characteristics; worshipped bird’s totems and cultivated wheat; they were also one of ancestors of the American Indians and Polynesian people, and had built advanced ancient cultures in America and Polynesian areas. Dong-Yi People lived around Shandong Peninsula in Neolithic China. They came from Middle East with Caucasoid race characteristics and bird worship totems. This article briefly introduces the historical records of Dong-Yi People; their wheat cultivating history; their Caucasoid race characteristics; their Bird worship totems; their relations with other people; Dong-Yi culture; and their migrations. Dong-Yi People moved to lands at the regions we call the ends of the Earth, which included: The Easternmost Place in Shandong Peninsula of China; The Westernmost Place in West America; The Southernmost Place in Australia and New Zealand; The Northernmost Place near the Arctic Circle, and built great cultures during the Neolithic Age. DNA researches have proved that Prehistory American Indians (Amerind) and Polynesian people migrated from East Asia. We assert that the Prehistory Amerind were a hybridization of Dong-Yi People and Mongoloid racial stock. Prehistory Polynesian people were hybridization and mixing of Dong-Yi People with various other races. Prehistory Amerind and Polynesian people had bird worship totem cultures, which are the same as with Dong-Yi people’s religious practices. From this article, we have a clear view of Dong-Yi People. They built one of the most advanced cultures in Neolithic Shandong which greatly influenced China Neolithic cultures. They came from Middle East and had Caucasoid race characteristics; worshipped bird’s totems and cultivated wheat; they were also one of ancestors of the American Indians and Polynesian people, and had built advanced ancient cultures in America and Polynesian areas. TheShuowen Jiezi character dictionary (121 BCE) defined the Chinese character Yi (夷) which consisted of ‘big’ (大) and ‘bow’(弓), as ‘level; peaceful (平)’ and ‘people of eastern regions’. The earliest records of Yi were inscribed on oracle bones dating from the late Shang Dynasty (1600–1046BCE). The Shang Oracle bones recorded a hostile country written as Ren-fang (人方) or Shi-fang (尸方) located east of Shang Dynasty. We assert that the Ren- fang were Dong-Yi. Dong-Yi officially appeared on the Bronze inscriptions of the West Zhou Dynasty (1046–771BCE). Dong-Yi People were main hostiles of the Zhou Dynasty (1046–256BCE). Literature describing a pre-Xia Dynasty period did not use the character Yi. As for the Xia Dynasty, some groups of people were referred to as the Yi. For example, ‘Yu Gong’ of the Classic of History called people in Qingzhou and Xuzhou as LaiYi, YuYi and HuaiYi. The last country of the Dong-Yi People was ancient Lai in Shandong Peninsula. The Lai country was founded by the Lai-Yi people and used to be one of the four biggest ancient countries (Qi, 1046-221BCE; Lu, 1042-256BCE; Ju, 1046-431BCE; Lai,-567BCE) located in the Shandong Peninsula. The Chinese characters Lai (萊) and Lai (來) were the same, Lai (萊) meant (young wheat) growing luxuriantly. The original meaning: Young wheat seedlings looked like young luxuriant grasses. The Chinese character Mai (麥) consisted of Lai (來) and Sui (夊, meant root or foot), meant (wheat) growing on the ground. Many places in Shandong Peninsula had names with Chinese character Lai (莱), they were connected with the old country called the Lai. Such as: Lai-Yang, Lai-Xi, Lai-Zhou, Peng-Lai, Lai-Shan, Lai-Wu, Jiao-Lai River, Lai River in Heze, Lai-Yan Qing-Shi Pass of Qi Great Wall. Barley was called Mu (麰) (or written as Mu (牟). Furthermore one has that the Shandong Peninsula was the birthplace of surname Mu (牟, meant barley). It, barley cultivation, spread out over China after the Han Dynasty (202BCE-220ACE). Many places in Shandong Peninsula had names with the Chinese character Mu (牟): Mu-Ping, Xin-Mu, Mu Mountain in Anqiu, Mu-Wen River in Laiwu, Mu family Town in Weifang, Mu-Jia-Shao village in Shouguang, Mu family manor in Qixia. Dong-Yi People were the first groups who brought wheat to China and widely planted wheat in China. They named many places with Lai (莱, meant: wheat) and Mu (牟, meant: barley); they also named their country with Lai (莱, meant: wheat). Palaeolithic archaeological site of open camp (20000 years ago) in Linfin of Shanxi Province has been discovered with many stone rollers and querns, and also showing prehistoric evidence of Mankind’s use of fire in Shanxi. A Palaeolithic archaeological site (28000 years ago) in Shuo county of Shanxi Province had many stone knives, serrated sickles, rollers and querns. The world’s first wheat, oats, barley and lentils evolved from wild plants found in Iraq. Seeds of 10,000-year-old cultivated wheat have been discovered at sites in Iraq and northern Syria. The Dong-Yi People moved to west and north areas when the sea level was higher and slowly moved back to prior areas when sea level was lower. But during this period, the unsteady temperature levels created conditions which were not suitable for planting wheat and barley. With the migrations of the Dong-Yi People and exchanging with other people, cultivating wheat and barley had spread out to other places of Neolithic China. It was clear that wheat and barley came from Middle East. Dong-Yi People brought wheat and barley to east China and built new wheat and barley farming cultures in Shandong Peninsula. Later they also spread wheat and barley to other places in China. 4．The Ancestral worship totems of Dong-Yi people were bird-shaped. A Neolithic archaeological site in Beizhuang of Changdao in Shandong Peninsula (6500 years ago) discovered grey pottery GUI shaped of bird; prior archaeologists thought it was strong evidence that Dong-Yi People worshipped bird totems. 4.2 ‘Shan Hai Jing’ recorded many birds in Shandong Peninsula. 4.3 The priests of the Di-Jun People were Dong-Yi people. Initially Di-Jun people built friendly relations with the Dong-Yi People. They believed that Dong-Yi People could predict the weather or good and bad luck. Di-Jun people even regarded Dong-Yi People as half human and half spirit. They invited Dong-Yi People to be their priests at their sacrificial altars. ‘Shan Hai Jing: Da Huang Dong Jing’ wrote: ‘There were birds bearing five colors, rotating and dancing, they were friends of Di-Jun. Di-Jun had two sacrificial altars; where colorful bird were its priests.’ (In Chinese: /i>大荒东经>:有五采之鸟,相乡弃沙。惟帝俊下友帝下两坛,采鸟是司). The birds bearing five colors were priests wearing bird feather clothes, looking like two birds. The Caucasoid race is defined by the Compact Oxford English Dictionary of Current English as ‘relating to a broad division of humankind covering peoples from Europe, west Asia, and parts of India and North Africa’ or ‘white-skinned; of European origin’ or ‘relating to the region of the Caucasus in SE Europe’. This concept’s existence is based upon ‘the now disputed typological method of racial classification origin’ or ‘relating to the region of the Caucasus in SE Europe’. The descendants of Japheth were maritime people, they were good at navigation. They spread out all over the continent of Europe to the western lands. They also spread out to North (Slavs in Russia), India and south Asia where were the tents of Shem (Genesis 9-27 …..May Japheth live in the tents of Shem….). They spread out to America (Genesis 9-27 May God extend the territory of Japheth….). The descendants of Japheth were the Caucasoid race. The descendant of Shem spread out over all the Continent of Asia to north and east. They were partial Caucasoid race and partial Mongoloid Race. Caucasoid people from Shem and Caucasoid people from Japheth looked some what different. The future prehistory Dong-Yi People belonged to Caucasoid people from Shem. Dong-Yi People had pronounced Caucasoid racial characteristics: i.e. they were very tall, with a high forehead, aquiline nose, pronounced facial whiskers, a beard, and bushy body hairs. Guo Mo-Rue discovered that Dong-Yi People (during the period of Da Wen Kou culture) had luxuriant facial whiskers and beards, bushy body hairs, aquiline nose, thereby bearing some resemblance to the Caucasoid race in appearance. Since Han Dynasty (202BCE-220ACE), the members of the people majority in China, the ‘people of Han (Han Race)’ were named. In China history, Emperors had encouraged large-scale migration, and as a result, there were more people married to others with different people. ‘Zhuang Zi’ said: ‘his upper body was longer than his lower body; he was humpbacked; his ears could be seen from back’. The country Qi eliminated the Lai region/ kingdom completely in 567BCE. The Lai King was killed; the Lai capital was burned; also the Lai culture was destroyed; In addition the Lai people were moved to Ni County (called today Teng Zhou of Shandong).Also the historical Feng County of Jiangsu Province where Liu Bang was born and Pei county of Jiangsu where Liu Bang lived afterwards were only 25-30km from Ni County. There were many Dong-Yi people in Feng County and Pei County at Liu Bang’s time. Liu Bang’s mother possibly came from the Dong-Yi People. Dong-Yi People had built friendly relations with other east China people in their early history. This though did not last later dynastic conditions. ‘Shan Hai Jing’ recorded many of the oldest people in Neolithic China, Di-Jun, Zhuan-Xu, Shao-Hao, Huang-Di, Yan-Di, etc. Before the Dong-Yi People came to east China, Emperor Di-Jun people and Emperor Shao Hao people had already lived there. In earlier records of ‘Shan Hai Jing’, Dong-Yi People were regarded as a member of the larger family of people in Neolithic China. ‘Shan Hai Jing’ recorded friendly relations between Di-Jun people and Dong-Yi People (who worshipped birds as their totems.) They invited Dong-Yi People to be their priests at their Sacrificial Altars. ‘Shan Hai Jing’ had many records of east bird’s totems. Di-Jun people believed Dong-Yi People could predict the weather or good and bad luck. They even regarded Dong-Yi People as half human and half spirit. Di-Jun people got many benefits from learning from Doing-Yi culture. They learned Dong-Yi culture; inherited the general culture of the Dong-Yi and generally spread Dong-Yi culture. Later China Di-Qiang culture also had elements of Dong-Yi culture. The last country of Dong-Yi People was ancient Lai in the present Shandong Peninsula. Country Qi eliminated Lai completely in 567BCE. Lai culture was destroyed; Lai people were moved; Lai did not have the ability to make a country again. Many historians agreed that Emperor Huang and Emperor Yan were not from the main ancestors of Han Chinese stock. As understood in China. It was Zhou Dynasty who fabricated the stories of Emperor Huang and Yan for the political purposes of ruling all people. In early records of ‘Shan Hai Jing’, Huang-Di, Yan-Di, Zhuan-Xu, Di-Jun, Shao-Hao, and bird worshipped people from east (Dong-Yi) were different people. Together they became ancestors of China. Zhou Dynasty replenished ‘Shan Hai Jing’ to one more part ‘Hai Nei Jing’. They fabricated the stories of Emperor Huang and Yan; and fabricated that Zhuang-Xu, Di-Jun, Shao-Hao were descendants of Huang and Yan. They kicked Dong-Yi People out of the family of early China people. Beixin culture (5300-4100BCE): was a Neolithic culture in Shandong Peninsula. The type site at Beixin was discovered in Tengzhou, Shandong. The site was excavated from 1978 to 1979. Dawenkou culture (4100-2600BCE): was primarily in Shandong Peninsula, but also appeared in Anhui, Henan and Jiangsu, China. This type of site at Dawenkou, located in Tai’an, Shandong, was excavated in 1959, 1974 and 1978. Longshan culture (3200-1900BCE): was a late Neolithic culture in China, centered on the central and lower Yellow River, including Shandong, Henan, and Shanxi, Shanxi. The Longshan culture was named after the town of Longshan in Jinan, Shandong was found (in 1928) and excavated (in 1930 and 1931). (1) The writing system of Dong-Yi was one of the oldest writing systems in Neolithic China. It was an important source of the Shang Oracle bone script. Some of the characters，like ‘旦、鉞(钺)、斤、皇、封、酒、拍、昃’ were still used in Chinese characters. (2) Dong-Yi People were inventors of arrows. (Zuo Zhuan, Shuowen Jiezi had similar records about this). (3) Dong-Yi People had high skill in making pottery. Eggshell black pottery in Longshan culture was believed to be the best work of Chinese ancient pottery. (4) Dong-Yi People were the earliest users of copper and iron in Neolithic China. (5) The earliest human brain operation in Neolithic China was believed to be conducted about 5000 years ago in Guangrao of Shandong. (6) Dong-Yi People developed etiquette. A code of etiquette in Long Shan culture shows social stratification and formation of the nation. The reason that Neolithic culture in east Shandong was different with west Shandong was that the Dawenkou-Longshan culture in east Shandong came from its own sources: Dong-Yi People; And the Dawenkou-Longshan culture in west Shandong came from mainly Dong-Yi People and also Di-Jun and other people. The great changes of climate caused the large scale migrations of Dong-Yi People in their early history. Dong-Yi People moved to west and north when sea level rose, and slowly moved back when sea level was lower. An archaeological site in Beiqian, Qingdao of Shandong had discovered two cultures: Beiqian Dawenkou culture (6000 years ago) and West Zhou culture (2700 years ago). These two cultures did not have any connection; Beiqian Dawenkou culture suddenly disappeared. It was the clear evidence that sea level rose 6000 year ago, Dong-Yi People moved to other geographical places. As of about 6000 years ago, while the sea level rising, general temperature levels rose too, there were many storms high winds and heavy rain fall. In the mist of this climatic disruptions, the Chi-You people who lived in Shandong Peninsula had to move, Huang-Di people did not wish Chi-You people to come to their places, they also believed that Chi-You people brought the perceived bad luck via the fierce storms, great wind and heavy rain fall. They fought with the Chi-You people and eliminated it. Afterwards, the Dong-Yi People moved to North America and south-east China, and Polynesia and New Zealand. They became one of the ancestors of the prehistory American Indians (Amerind) and Polynesian people. After the Shang Dynasty, and the losers in several wars, Dong-Yi People were forced leave their territories and move to other places. Most Dong-Yi people were killed after the last country of the Dong-Yi People which called ‘Lai’ was eliminated completely by Qi in 567BC. The left Lai people were moved to Ni County (Teng Zhou of Shandong) (There was a village named Lai village), after Lai King was killed; Lai capital was burned; Lai culture was destroyed. Another famous ancient country Yue State (?-306BCE) had ever annexed to south-east Shandong Peninsula. Some ancestors of prehistory Yue people were from Yu-Yi people which belonged to Dong-Yi People. Dong-Yi people spread to South China. Qin Shi Huang continued military expansion in the south during his reign, with various regions being annexed to what is now Guangdong province and part of today’s Vietnam. Some soldiers from Dong-Yi People settled down in the south and married with local women. Since the time of the Han Dynasty (202BCE-220ACE), the members of the people majority in China, the ‘people of Han (Han Race)’ were named. Dong-Yi People slowly lost their pronounced Caucasoid racial characteristics after they inter married with other people. 8.2 Prehistory American Indians (Amerind) were hybridization of Dong-Yi People and the Mongoloid race. Some scientists believed that Dong-Yi People had gone across the Bering Strait, and spread out over America. Some scientists also believed that Dong-Yi People went to South Korea, to Japan, to the Kuril Islands, to The Kamchatka Peninsula, to Aleutian Islands, then to North America during the low sea level period. Sea level rising and volcanic eruptions in Aleutian Islands might have destroyed most archaeological remains. 11500 years ago, most parts of Bohai Sea was land; sea level was 40 meters lower than present sea level. Other scientists even argued that Amerind came from East Asia by ships. Stud Ying prehistoric human-face petroglyphs of the North Pacific Region, Song Yaoliang discovered that north-west American, Aleutian had shown similar religion culture with Dawenkou culture of Dong-Yi People. 4000 years ago, another large-scale migration from Dong-Yi People brought prehistoric human-face petroglyphs to America. Prehistoric Amerind initially were first located in the north part of North America. The temperature in the northern part of Neolithic North America was not suitable for cultivation of wheat and barley; the Prehistoric Amerind did not have any wheat and barley cultivation culture which was initially from the Dong-Yi People; they, the Amerind instead cultivated other food instead of wheat and barley. Some prehistoric Amerind were Caucasian from Shem; they were very tall, same as the Dong-Yi People. The 8,400 year-old Kennewick Man discovered in 1996 in Washington State was thought by many to be Caucasian but, in that scientists were unable to retrieve DNA for analysis, by default it was determined by the Secretary of the Interior that he was an ‘American Indian’. While apparently most ancient people were smaller than the people living today, diet perhaps being the main reason, it has been determined some prehistoric Amerind were six foot (180cm) tall. Same as the Dong-Yi. Amerind totem poles were not real totems, but only records of stories. Prehistoric Amerind worshipped bird’s totems, same as Dong-Yi People. Feather War bonnets came from bird worshipping history. Dong-Yi People also had the same culture to dress with feathers. ‘Shan Hai Jin’ recorded that Dong-Yi people were priests at Di-Jun people’ Sacrificial Altars. They dressed up like birds bearing five colors, rotating and dancing. There were several waves of migrations from Asia to Polynesia. Dong-Yi People might mix with different races on their long journeys to Polynesia. Dong-Yi People were ancestors of Polynesian people first migrated from Shandong Peninsula to south-east China; to Taiwan; to the Philippines and Indonesia, then to west Polynesia and east Polynesia, and then to New Zealand. Before Scientists could find more evidences, we could imagine about how Dong-Yi People migrated to Polynesia and New Zealand. It is believed that native Taiwanese were from ancient Yue State (?-306BCE) which had ever annexed to south-east Shandong Peninsula. Even Taiwan and south Asia had some same ancestors from Dong-Yi People, but in their later history, they mixed with different racial groups. Some research from Y chromosome found that aboriginal Taiwanese carried distinctly different genetic markers than eastern Pacific Polynesians or southwestern Pacific Micronesians. Polynesians also had birds worshipping totems same with Amerind and Dong-Yi People. Feather cloaks in the Polynesian area were well known in New Zealand and Hawaii. Feather cloak was worn only by the leader of a special group of mourners during the obsequies following the death of a sovereign or an heir apparent. The number of chief mourners’ dresses must have been limited in manufacture as only one was required for each royal funeral . Dong-Yi Priests worn feathers, rotating and dancing, were similar to Polynesians. Our manuscript has presented what the Dong-Yi contributed to human civilization, including the dawn of Bronze Age China, Polynesia and North America. We hope that this presentation will enable a discussion as to the foundations of pre history due to this over looked people. Even as the Dong-Yi People built one of the most important Neolithic cultures – Dong-Yi culture which had greatly influenced ancient China; and they built friendly relations with other older Chinese people in their early history. However later on, the Dong-Yi became the main adversaries and combatants of both the Shang Dynasty and Zhou Dynasty. The last country of Dong-Yi People was ancient Lai in Shandong Peninsula. Lai was eliminated completely by Qi in 567BCE. We hope that our presentation sheds new light on this important people which played a decisive role in the development of human societies worldwide. This manuscript is a step in that direction. The Dong-Yi (bird people/big bow) were our ancestors. here is a great artifact from the Dawenkou culture of the Ancient Dongyi. Yes, I believe that they are. In the “article” I posted above, they have linked the Dong-Yi to be the ancestors of the Native Americans too. The Dongyi people worshiped bird totems. Today, the central Hmong of China, called themselves Kanao which means “from bird” and believe their ancestors came from the eastern sea of China => that’s where the Dongyi people flourished. Interestingly, Chiyou is our forefather and if you talked to many Hmong elders or shamans, they will tell you that our ancestors were the only people who can call forth the wind. Interesting, Chiyou was recorded as being able to call for the wind/fog. My mom told me that when she was little, she used to climb to the roof and sing the ancient song of “calling the wind,” but she told me that it was in whistling style, not actual singing. The wind will come when you sing it. thank you for sharing. this is interesting. reading about the Dong Yi with bird feathers.. i thought it was interesting as Hmong altars still required chicken feathers.. which the chickens were thought to be the physical form of phoenix, who communicates between the earth and heaven. One famous Dong Yi story is the Archer who shot down the many burning suns. Interesting, the Hmong have similar story, the story of Ka Yuam who shot down many suns and then, the sun refused to came out, so the chicken was the one who was able to convince the Sun to come out.. this is why, before sunrise, the chicken crows because the chicken promise the sun and when the first sun ray hits the chicken, it created the chicken’s red head piece. It’s a Hmong mythology. My mom told me that the chicken promised to be sacrificed, which is why the chicken is the most important bird, yet revere bird in the Hmong culture. Hmm, that is interesting. The Native Americans believe that the eagle is the messenger between earth and heaven. heheh, yes. FOr the Hmong, it’s the chicken that take onto the physical form and in spiritual form, the chicken is the messenger between Heaven and Earth.. this is why before marriage, the chicken is used, because the chicken serves as the witness to the marriage. a chicken must be sacrificed and serves as a guide to the decease, because the chicken is the one who will crow and find the ancestors in the spirit world. There is a saying in the Hmong culture especially among Hmong shamans. “Nooj liaj nooj luj” referring to BIRD GUIDES. Do you know if the Shang Dynasty was Hmong? Or were they Chinese? The Hmong ancestors were part of the Shang. The Shang can be considered ancestors to the Han Chinese and Hmong. Oh ok. I was just asking cause a lot of the Shang pottery has Hmong design on it. But in my opinion Hmong is not Chinese. yes, originally, Hmong are not Chinese. That’s why they are called “suav” or to count since they laid heavy taxes on our ancestors and always come to count. 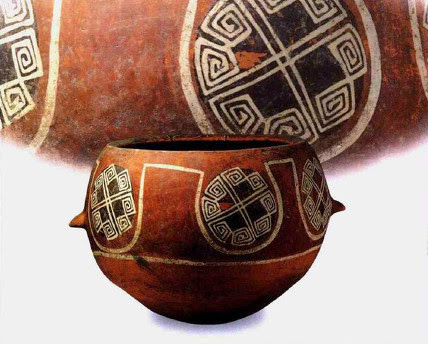 Archaeological discoveries – In addition, geneticists have connected the Miao to the Daxi Culture (5,300 – 6,000 years before present [YBP]) in the middle Yangtze River region. The Yi people were also into the slave trade as well as slavery. They had also enslaved Hmong people too. For instance, a group of Hmong in China known as A-Hmao had been under Yi enslavement before. This is really interesting, just that I would like to know more info on the Middle east part… Anyways, Hmong are known as a group who worships birds. The Xwm Kas that we put in our house that is believe to be the home to our spirit guardians comes from the tale of a man sent from Heaven that represented the rooster… I heard the story from a shaman i know, who was told the story by his master–The Tale goes that long ago when Ntxoog Nyoog (Devil, I think I spelled it wrong) wife gave birth to demons, he opened the gateway of Heaven and the demons came to Earth. Heaven saw this and wanted to stop it, so he sent down four men–Xwm Kas, Pes Xeem, Los Yes, I don’t remember one of their name. Anyways, The four killed most of the demons and there was only one left. While trying to kill it, Xwm Kas was shot and kill on accident by one of his brothers. After his death, he was put beside a tree and as days pass he submerged into the tree. Due to his death, ever since that day, the Hmong people puts his branch or leaf into the entrance of their house. Therefore, the Xwm kas represents a rooster and is also a protection from demons and bad spirits, but now we dont use the lead and branches anymore. I believe it is due to the Zhou Dynasty, the kingdom that is believe to set reward and destroyed the tyrant of Shang–reward meant money, money turned the Xwm Kas into an art of paper money on a paper hung on to the front wall of the front door… Anyways the story after this goes on and on, to Xwm three kids–Shee Yee, I forgot the other two’s name. Emperors of China called everyone miao. Miao meant barbarians so just because a group of people use to be called Miao does not mean they are related to present day Hmong. It was interesting to read about bird worshiping and sacrifice. We might have something there. This is just the evidence they are presenting. Some how all this is connected and the dots are there, we just have to connect it. I question not to destroy anyone’s beliefs, but to understand the root of my beliefs. My intention is not to uproot your beliefs and turn you into an immoral person but to help me and you understand ourselves and our ancestors. It’s difficult to draw conclusion from these mundane evidence. I meant in general and no specifics to anyone. Sorry if you were offended. Zeb Rock – I wondered the same thing… then again maybe Admin and I are the only ones that have “some” information to share or are more interested in the website. J/K. LOL. But it would be nice to have more people get involved with the website and share things as well. Why is this post here important that Rose Clayborne posted? They have historical records of the Dong-Yi People and from this article they have a clear view of Dong-Yi People. Abstract – They came from Middle East and had Caucasoid racial characteristics; worshipped bird’s totems and cultivated wheat; they were also one of ancestors of the American Indians and Polynesian people, and had built advanced ancient cultures in America and Polynesian areas. Introduction – They came from Middle East with Caucasoid race characteristics and bird worship totems. Introduction – They brought wheat to China and widely cultivated wheat in Shandong Peninsula 4500 years ago. Now we have bird worship totems and Shandong Peninsula. Who is known for bird worship totems and who was in Shandong Peninsula? Background – The Jiuli tribes, led by Chi You, had developed near the present-day borders of Shandong, Hebei, and Henan, and expanded towards the west. Are Hmong/Miao people connected to Chi You? Tribe – Some sources from later dynasties, such as the Guoyu book, considered Chi You’s Li tribe to be related to the ancient San miao tribe. In the ancient Zhuolu Town is a statue of Chi You claiming him to be the original ancestor of the Hmong people. The place is regarded as the birthplace of the San miao / Miao people, the Hmong being a subgroup of the Miao. 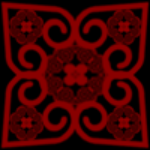 In sources following the Hmong view, the “nine Li” tribe is called the “Jiuli” kingdom, Jiuli meaning “nine Li”. Modern Han Chinese scholar Weng Dujian identifies Chi You as belonging to the Man ethnic group. Chi You has also been counted as part of the Dongyi. If Hmong/Miao/Man or Dongyi never knew who Chi You was or ever heard of him, why are the Hmong/Miao/Man and Dongyi mentioned here? Introduction – Dong-Yi culture which correlated to five evolutionary phases: Houli culture (6400-5700BCE); Beixin culture (5300-4100BCE); Dawenkou culture (4100-2600BCE); Longshan culture (3200-1900BCE); Yueshi culture (2000-1600BCE), first located in Shandong Peninsula, and later spread out to the lower reaches of the Yellow and Huai Rivers. Are Hmong/Miao people related to these cultures? All the dots are there to show you Hmong/Miao people are connected to Chi You/Jiuli tribes. Where does this Leave the Native Americans in with this and this post that Rose Clayborne posted? Introduction – DNA researches have proved that Prehistory American Indians (Amerind) and Polynesian people migrated from East Asia. We assert that the Prehistory Amerind were a hybridization of Dong-Yi People and Mongoloid racial stock. Prehistory Polynesian people were hybridization and mixing of Dong-Yi People with various other races. Introduction – Prehistory Amerind and Polynesian people had bird worship totem cultures, which are the same as with Dong-Yi people’s religious practices. These are Historical Records of Dong-Yi People. Which brings us into our next part. This statement is very serious, because the dots are there in front of all of us, it is up to us now to connect it. If a person don’t believe with the dots in front of them, they have that choice. But it need to be understood that they (the people) are not going to throw the answer right in your face. You have to research and connect the dots to get an answer and that is what this website is about. If you incorrectly connect the dots you’ll form an incorrect picture. Just because people interpret things in one way does not mean it is true. For example just because Christian believes their God is the true God doesn’t mean the Christian God is the true God. Circumstantial evidence is presented to make us think so. Let’s not fall into the same trap that ties religious people down. Let’s be objective. At least that’s what the author stated. As indigenous and minorities it is important for us to unite and fight for our rights, but that doesn’t mean we make up facts to support our cause. Every individual, no matter what race, has the right to pursue life, liberty, happiness, warmth, comfort, history, education, self, culture. By asserting she is just making a statement without facts. Just because she started throwing important words like DNA into her argument doesn’t make her assertion correct. It actually makes it look like a desperate attempt to scientifically prove her argument. This is the same logic people use when calling others illegals or illegal immigration. Again san means three and miao means barbarian. Together they make three barbarians. This doesn’t prove that the mentioned three barbarians were ancestors of the Hmong or Native Americans. Tourism is a big industry in China. No government in their right mind would reveal ancestry lineage. For example the United States will never reveal the secrets of Native American tribes to the open public. When you reveal the truth it instigates passion. Passion leads to revolution. But if false information is disseminated it leads investigators/researchers/truth seekers on a wild goose chase. The article was interesting but weak in its arguments. I would discount it as reliable data. Wikipedia makes facts worse. People assume what they are reading is true and factual just because wikipedia sounds like authoritive. Anyone has information to share on the huang-yi tribes of the dong-yi people, and their migratory routes after warring period chinese annexed their territories. I looked into it a little bit, but didn’t come across much about the Huang-Yi tribes or anything at the time about their migratory routes.